The first in the series of the classic fantasy tales - The Chronicles of Narnia. Written after The Lion, the Witch and the Wardrobe but designed by C.S.Lewis to be read first, this enchanting prequel - with its story of time travel, sorcery and magic rings - is essential reading for anyone who wants to learn the backstory to the biggest movie release of the year. 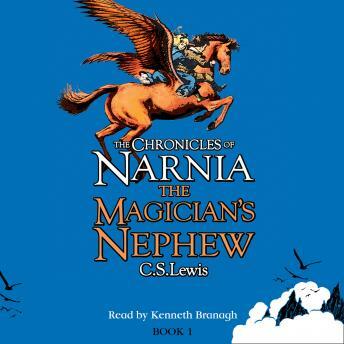 Hurled back in time to the birth of a new world, two young friends get caught in the epic struggle between Aslan and his nemesis the White Witch.